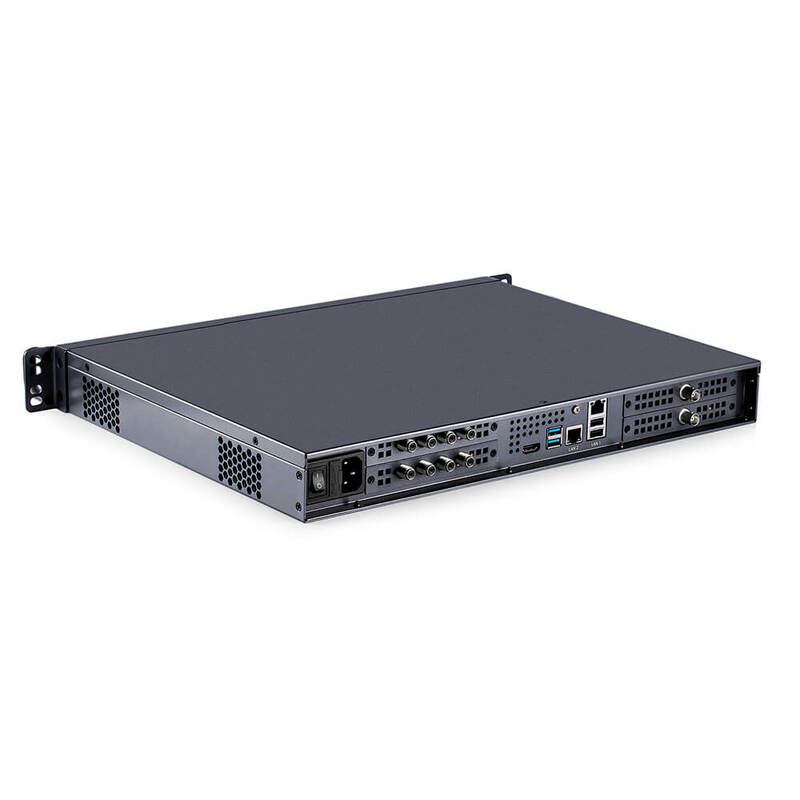 TBS8110 DVB-T modulator server is TBS latest product, it works as a DVB-T signal generator and supports 8 channel DVB-T transmission. 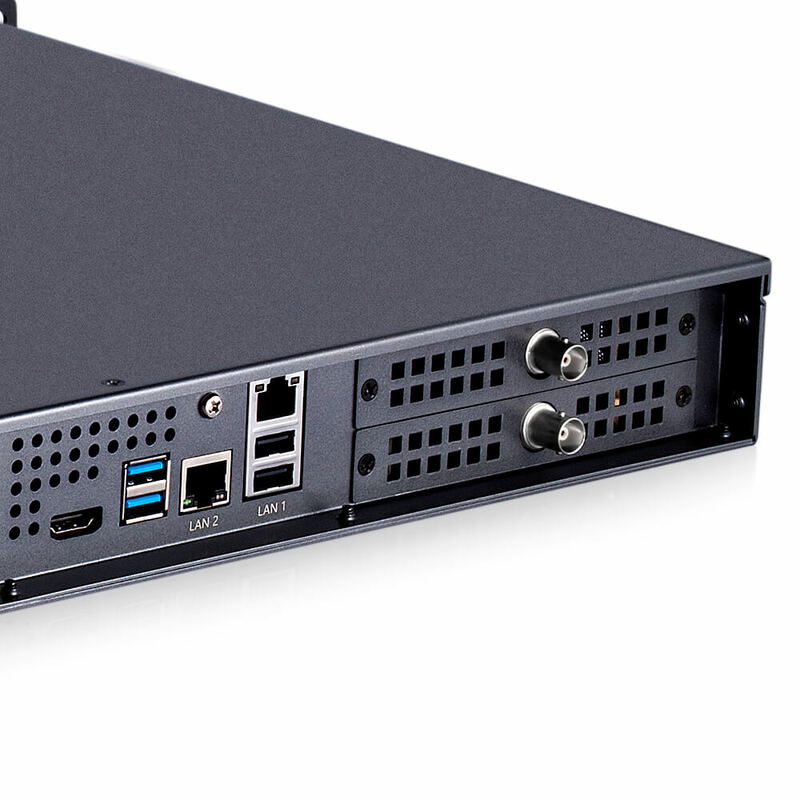 Based on the multiplex platform, the server is able to broadcast in DVB-T using TS stream and also from IP input, it designed to support most broadcast industry standard forms, such as DVB-S2/S standard, DVB-ASI input via PCI-e and also MPEG from HDMI/SDI encoder over IP input. 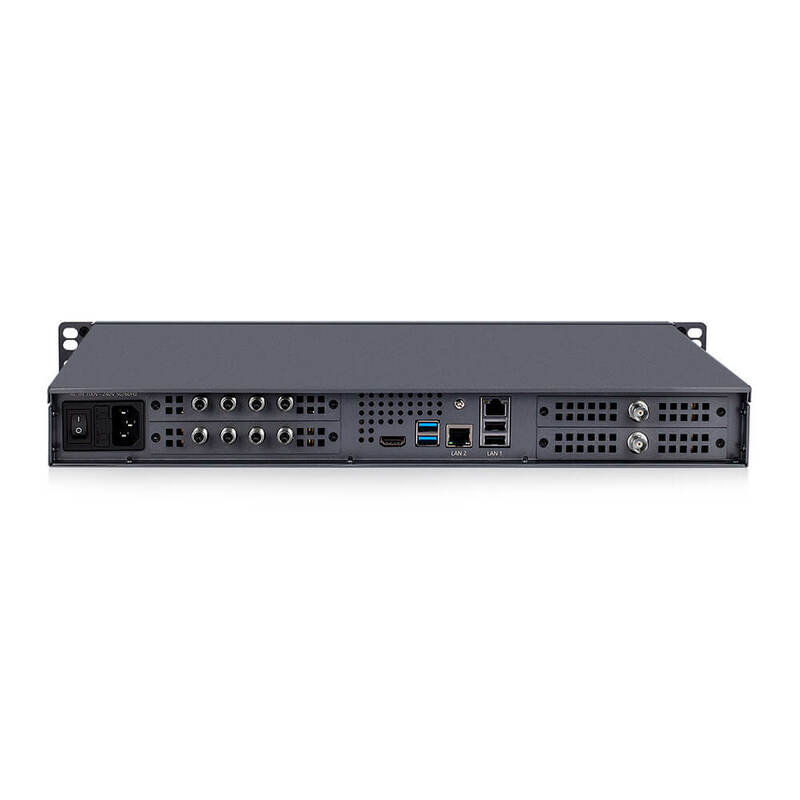 Based on the powerful AMD® Embedded G-Series SoC, it supports to install 2 TBS tuner card inside, up to 8~16 TV tuners with different DVB standards, and to meet customers’ various requirements, this device is also equipped with 128 IP input and 8 MPTS output over UDP and RTP. 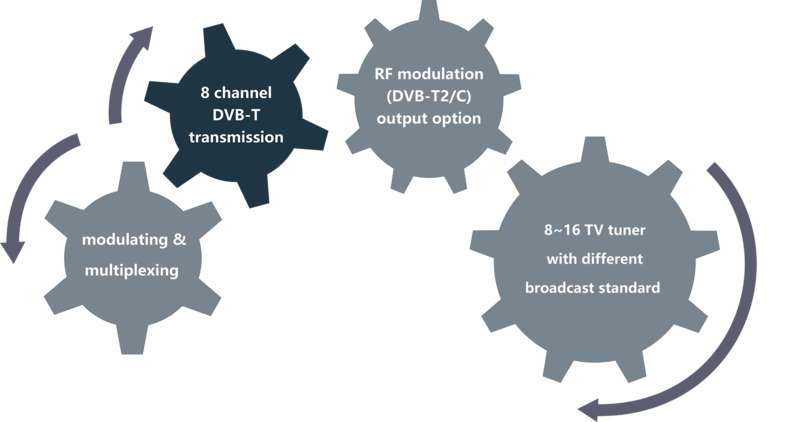 With "Remux" technology, you can easily select popular channels from input streams, then multiplexed to a new TS stream to 8 RF output. 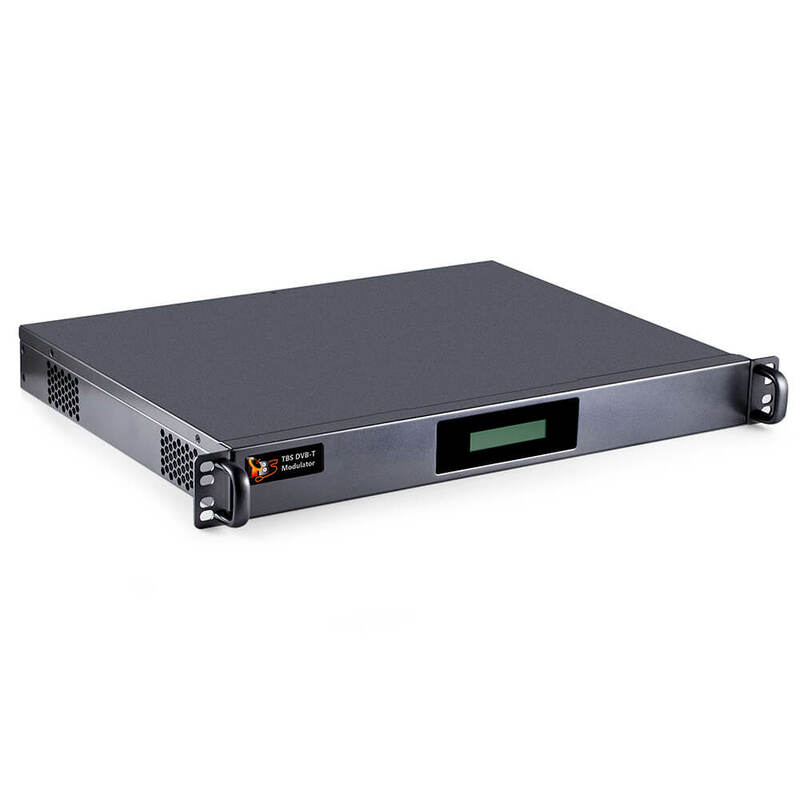 TBS DVB-T modulator server is the perfect solution for Digital Signage, Private Circuit, STB Testing, and Laboratory Applications. 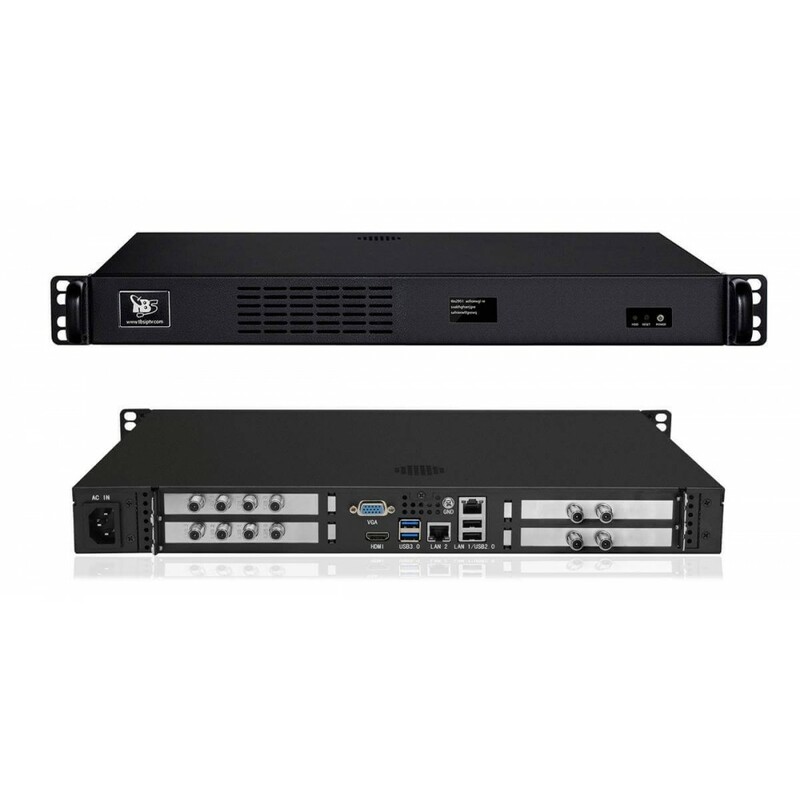 It also provides a very cost-effective solution to transmodulation system and IPTV systems. 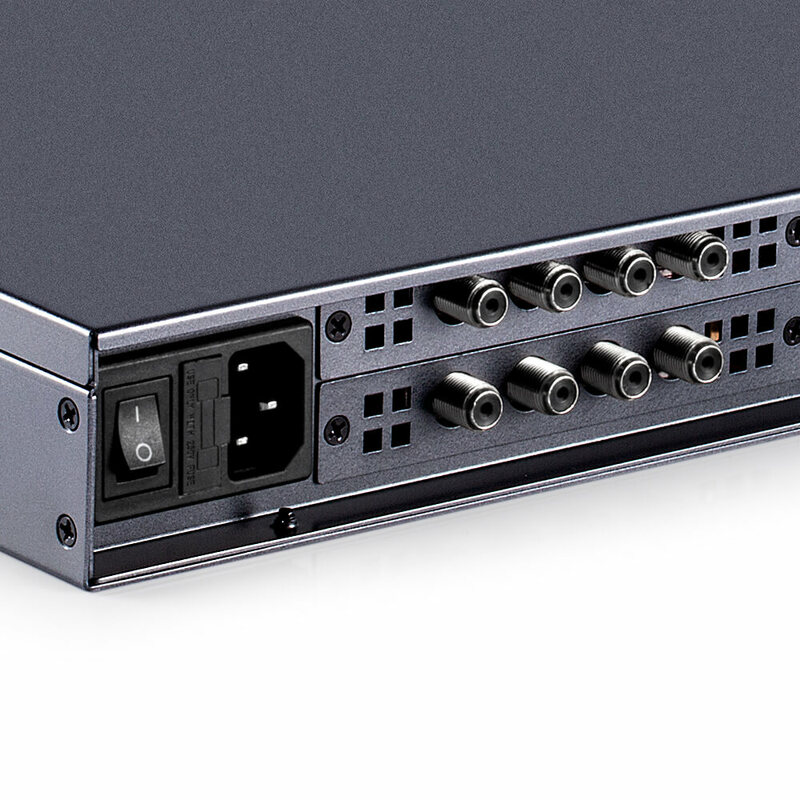 Application: With TBS Tuner/Capture card, covert DVB-S2 signal to DVB-T with this device you can easily manage all channels from different standard and configuration the DVB-T output frequency information.